Ultra-rare opportunity in one of the most exclusive and sought-after enclaves in central Maui. 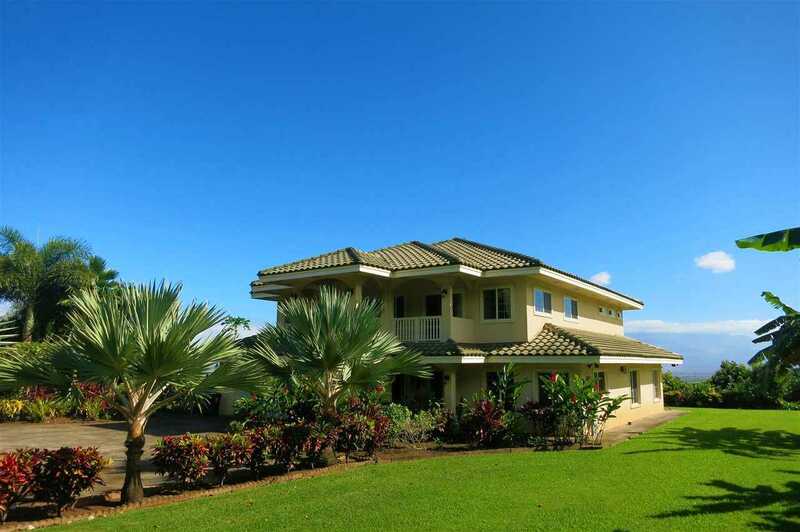 Stake your claim on this expertly maintained, massive fortress; located at the most ideal elevation and directly adjacent both the lush emerald green Iao Valley and West Maui Mountains. Close proximity to everything you need, but with the privacy and feel of âcountryâ living. With unparalleled and staggering panoramic Ocean AND mountain views, equally rich soil and climate, and prime locationâ¦.. this is certainly your ultimate piece of paradise. The lot features both level and sloping topography, which ensures ample flat building space for an additional dwelling, as well as the privacy and âforever viewsâ afforded by your sloping portion. Also unique to this exclusive neighborhood, is the advantage of Ag-Zoning with the convenience of county sewer service (a 1st for an ag-zoned subdivision on Maui). Additionally, you are afforded reduced ag-water rates for supplemental irrigation of your crops. Hit the buy button and make this enormous custom-built home and commanding 2.98 acre lot your new family compound. Many fruit trees, banana, papaya, tamarind, Lychee, oranges and mango. Please, send me more information on this property: MLS# 381161 – $1,375,000 – 122 Maika St, Wailuku, HI 96793.